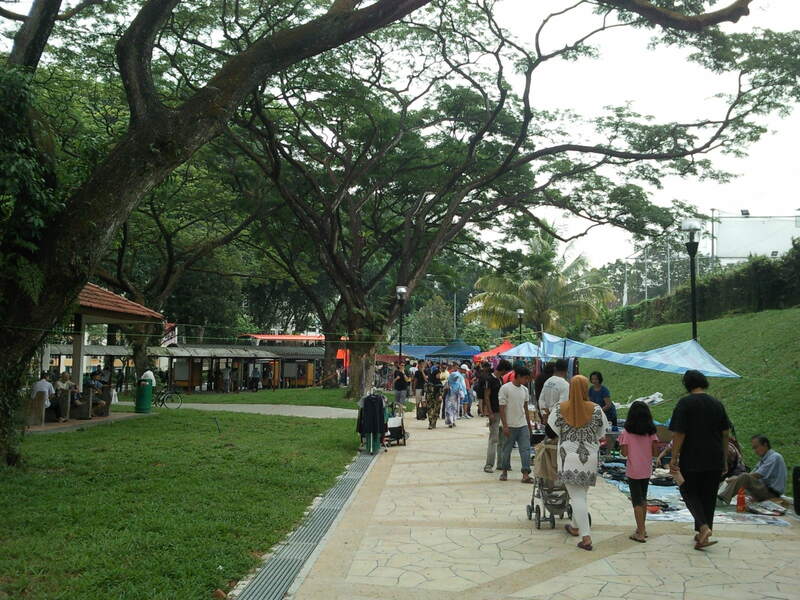 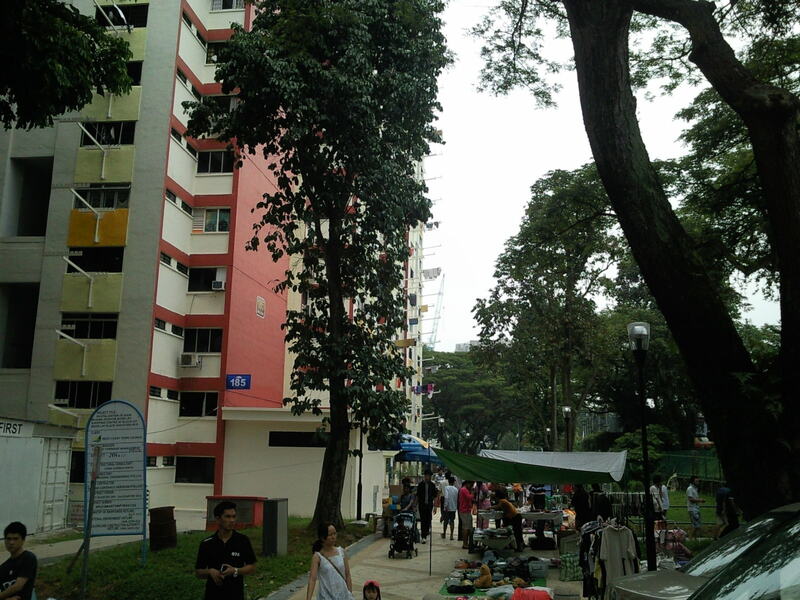 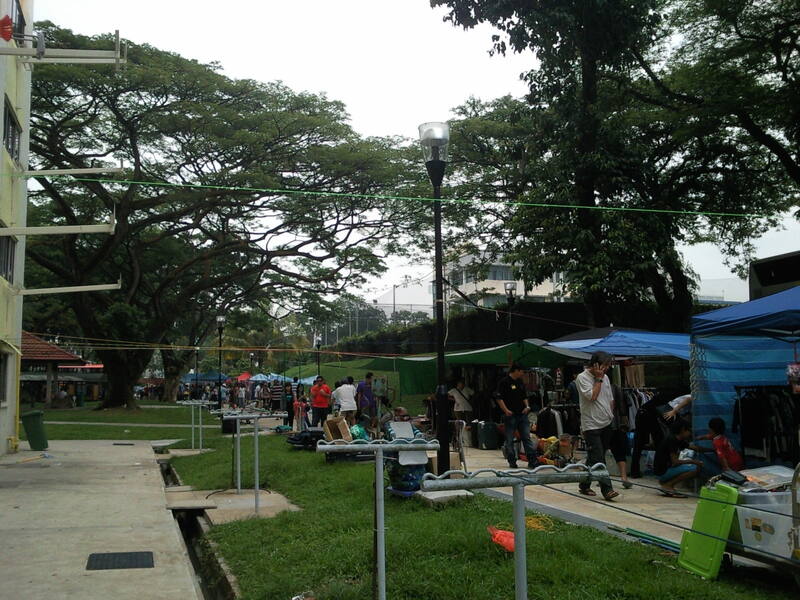 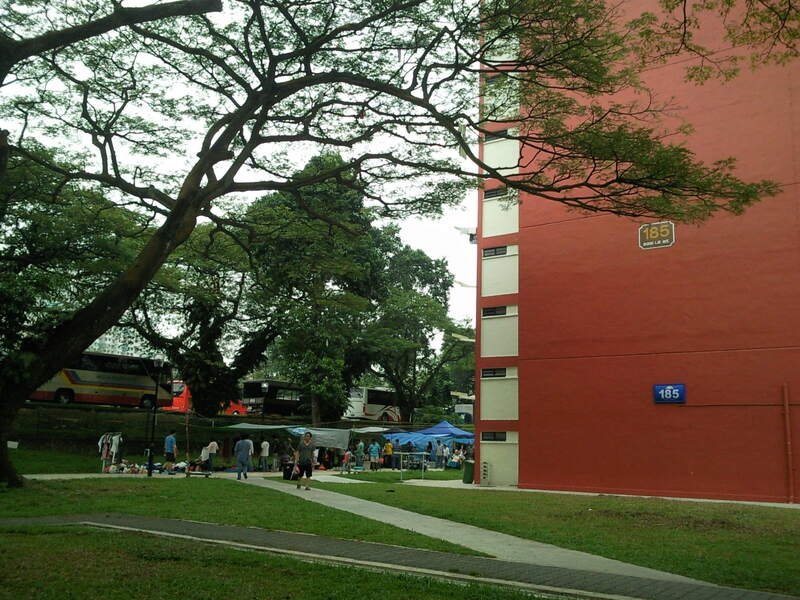 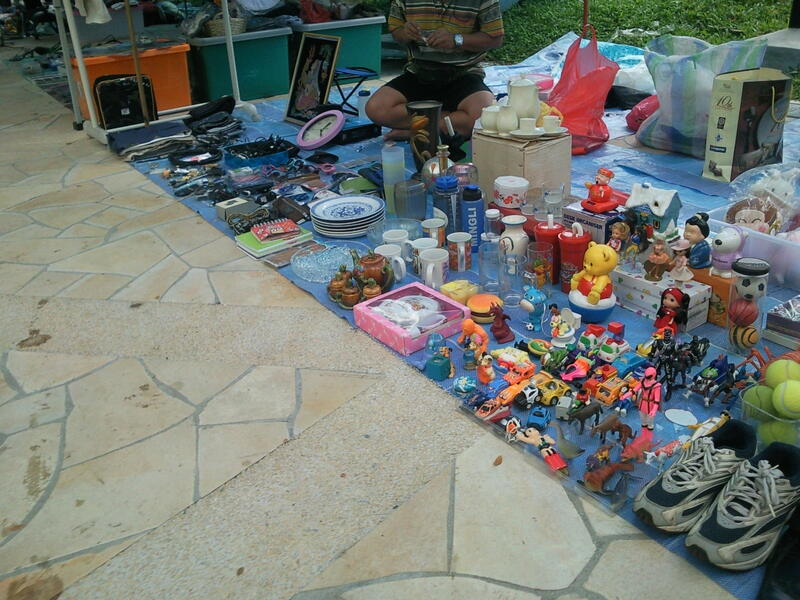 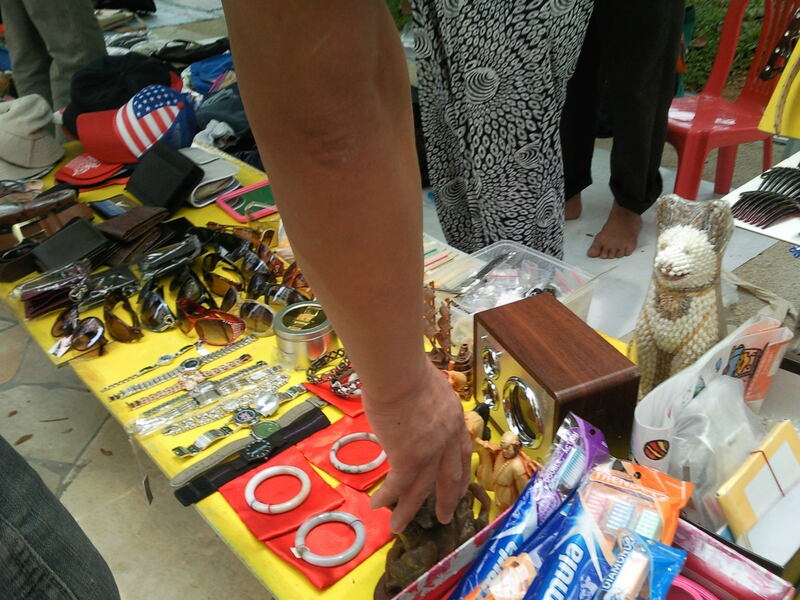 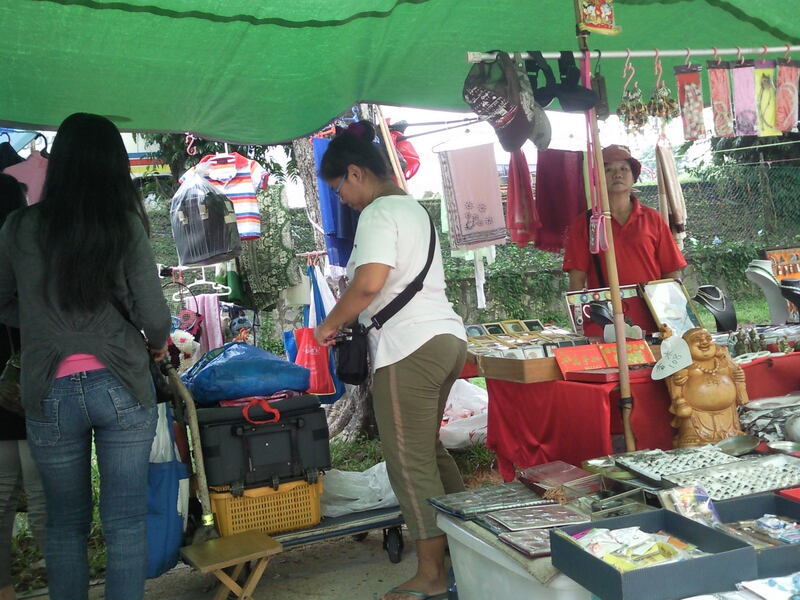 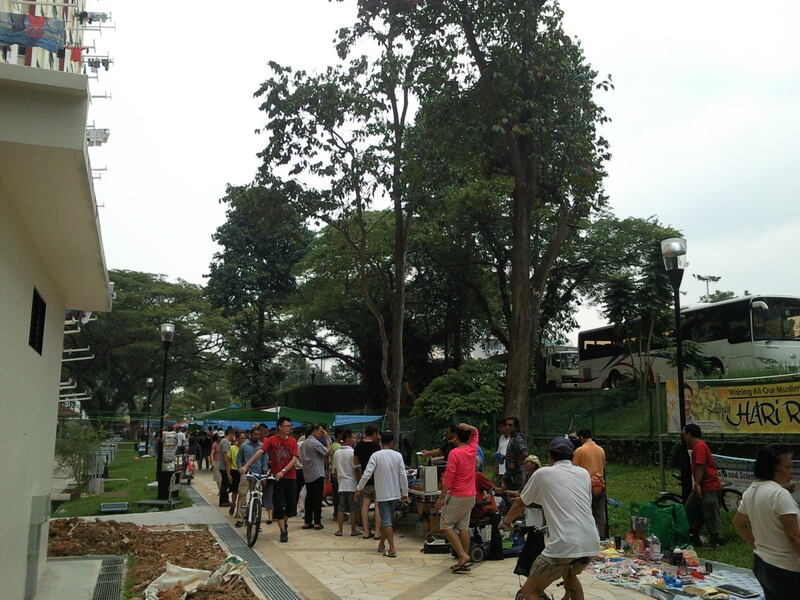 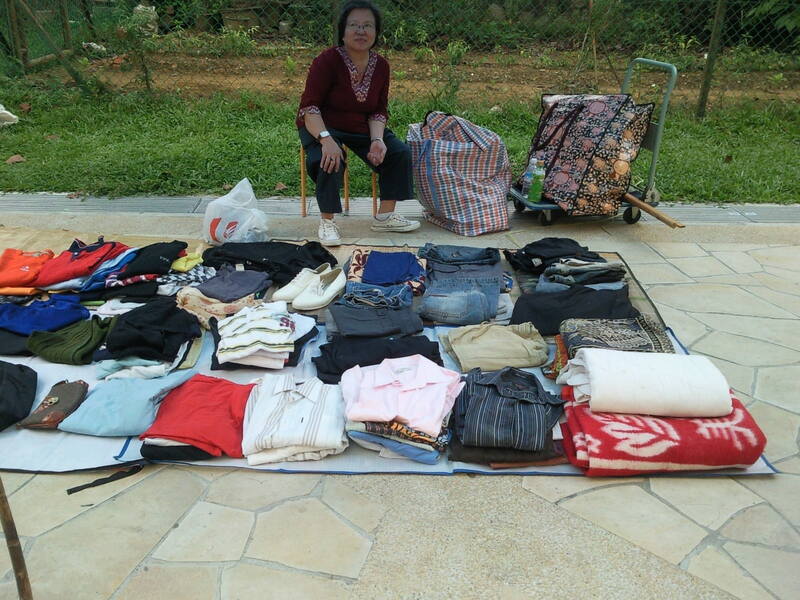 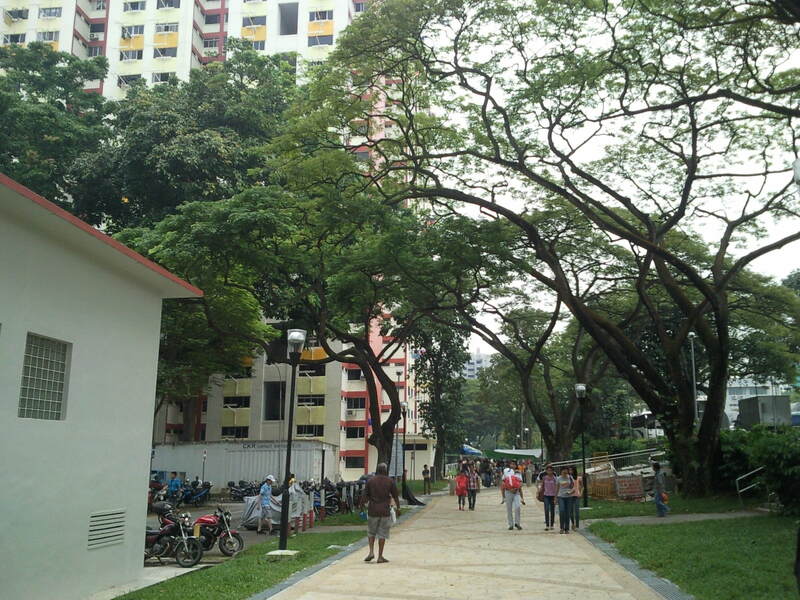 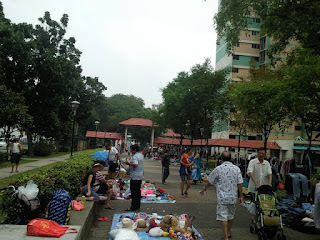 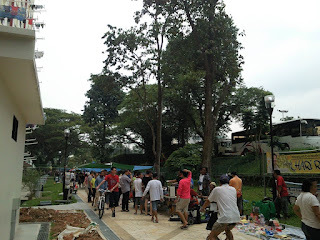 There are currently two open-style flea markets organised in Boon Lay, Singapore. *Schedule might change due to various reasons like bad weather /upgrading works, etc. 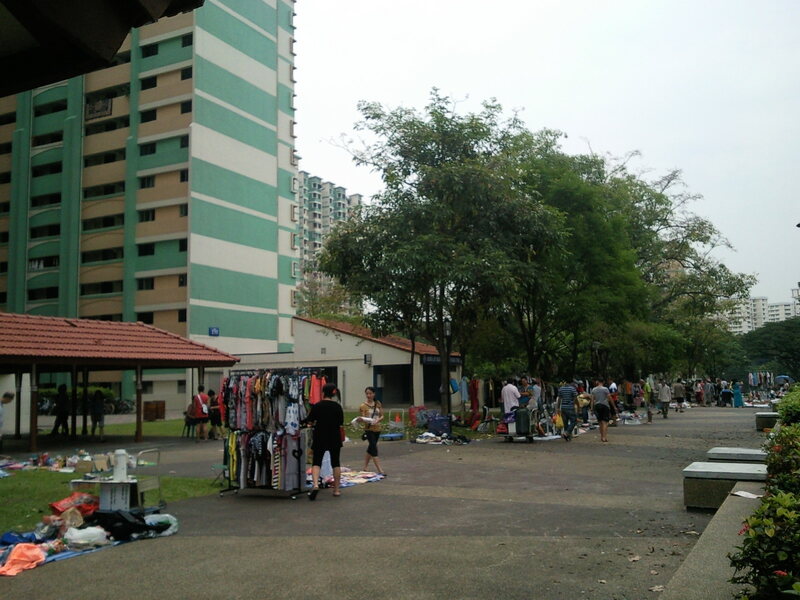 The flea market is more popular at Blk 185 which is located behind Boon Lay Shopping Centre and next to the St Francis of Assisi Church. There are many visitors and church members will be passing by this area after mass on a Sunday morning and afternoon. 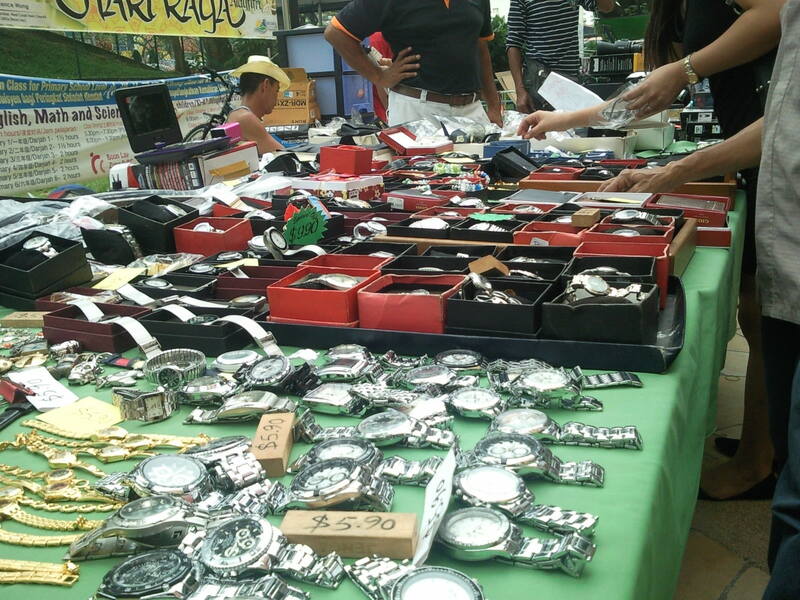 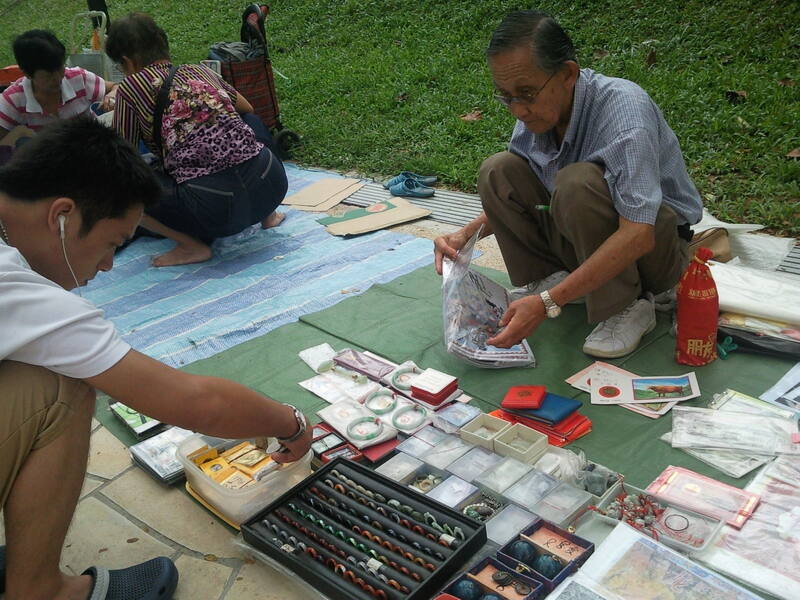 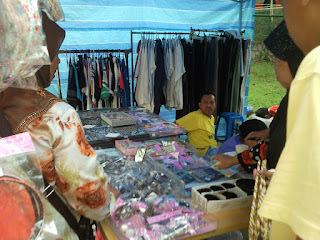 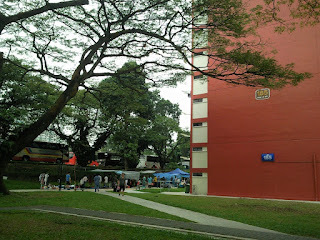 There is a popular stall which sells replica watches and sunglasses , usually operates opposite the lift lobby of blk 185, near to the ice cream vendor. 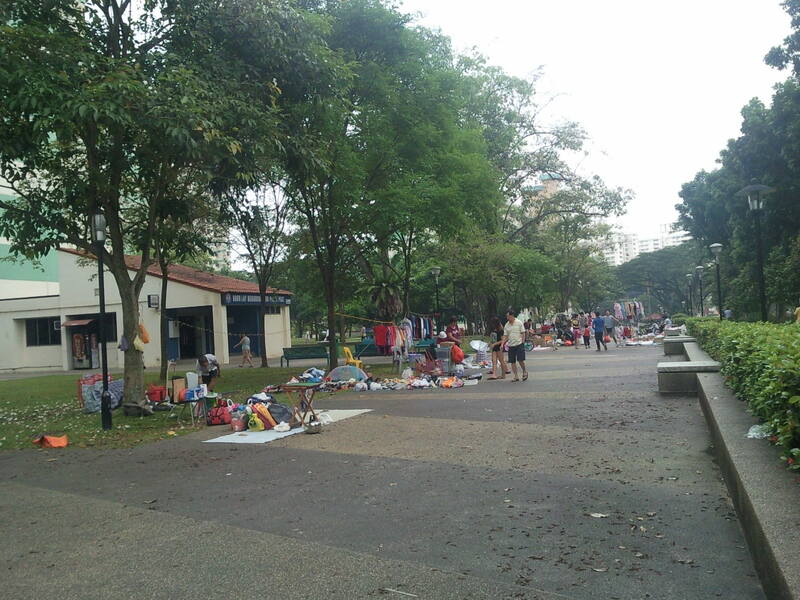 The flea market will close around 3pm depending on the amount of human traffic, weather conditions. 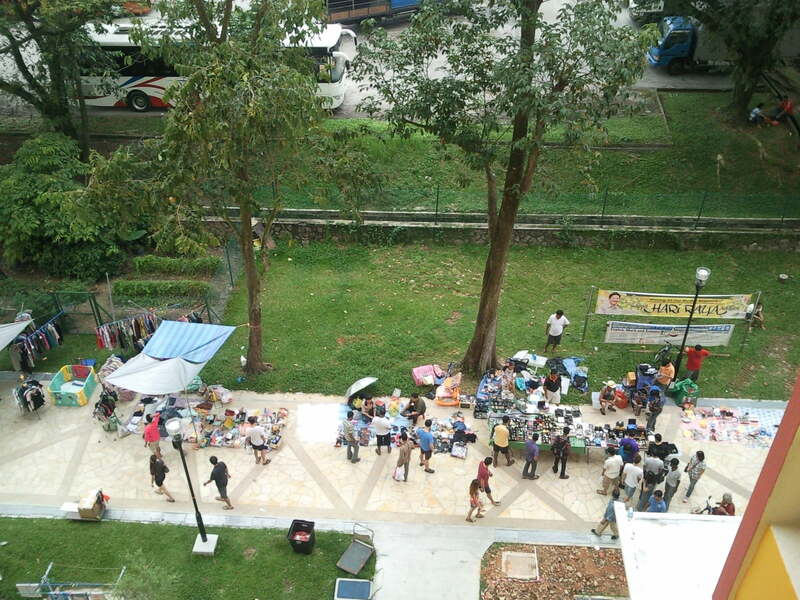 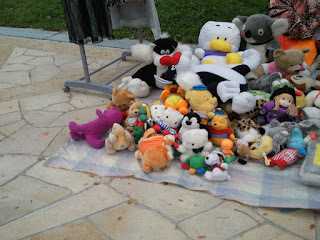 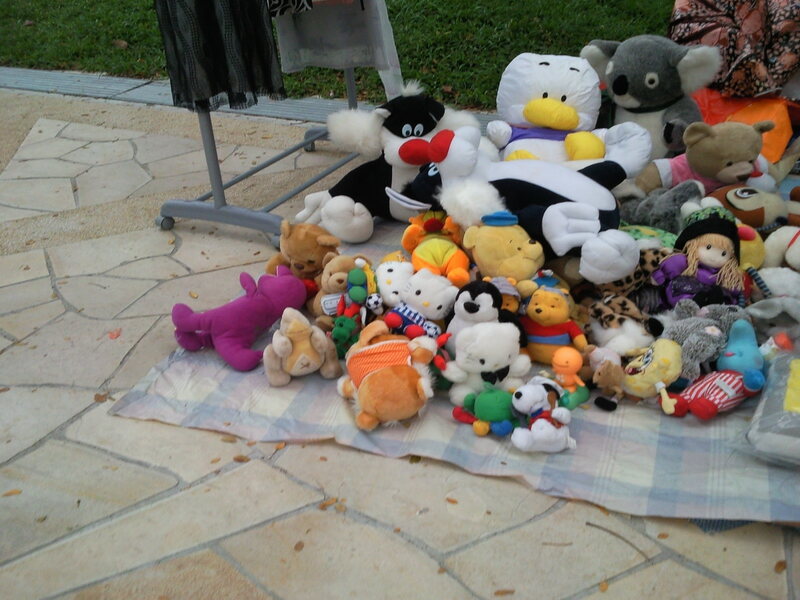 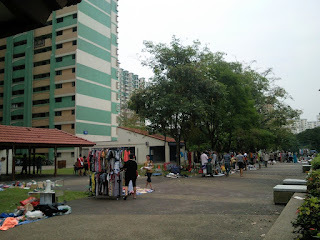 Most of the flea market tenants at blk 185 has simple form of tentages to shleter their goods and themselves. 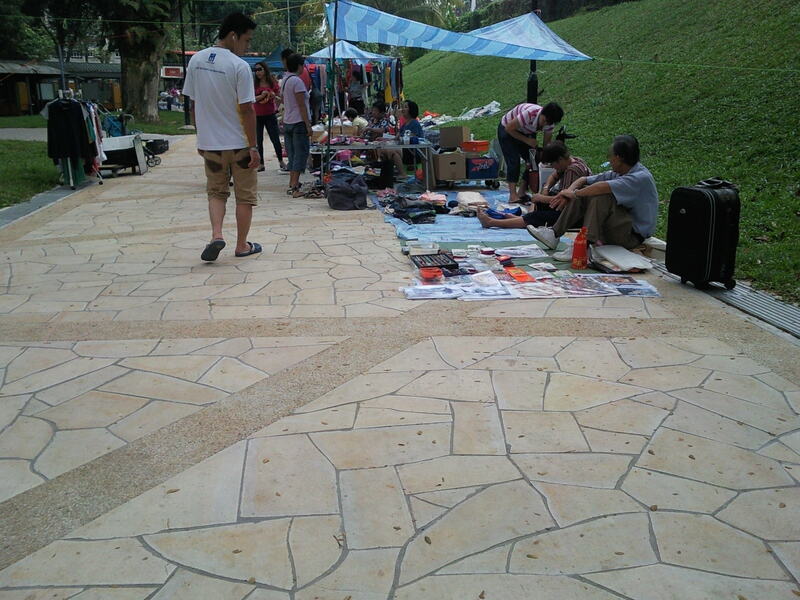 Hence you can expect the flea market tenants to continue operating even if it starts to drizzle. 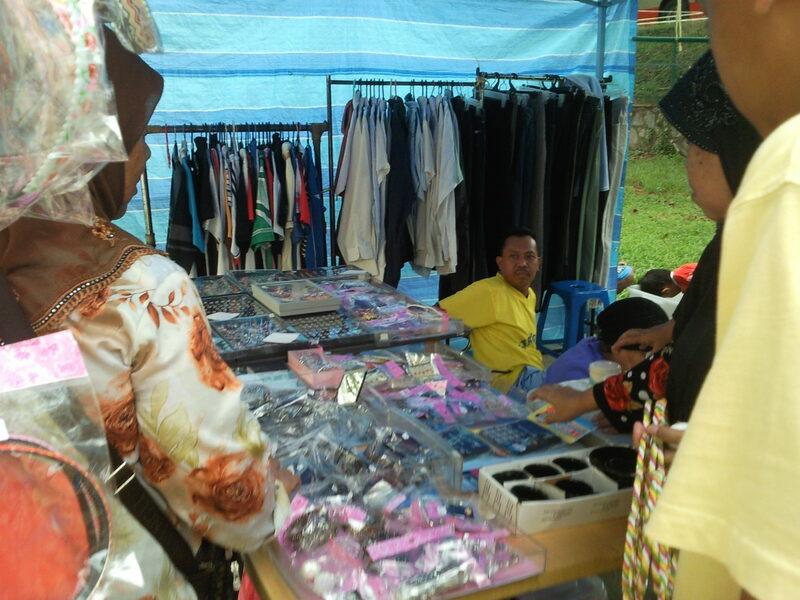 Do remember to bring along an umbrella if you are thinking of visiting this flea market during raining. 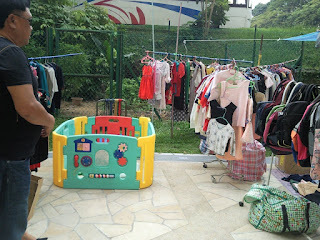 The rental from what I understand in the past is $10 per day, which must be submitted in advance and approved by the nearby RC there. 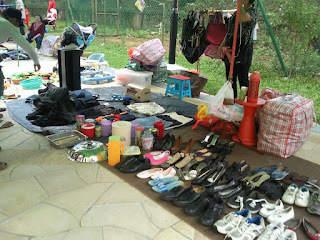 Details, you can find out the rental prices from the tenants there. The flea maket at Blk 210 which is further away has much less crowd. 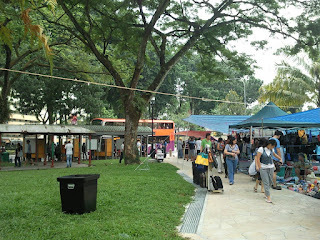 It it is located opposite Boon Lay Shopping Centre and Kopitiam. 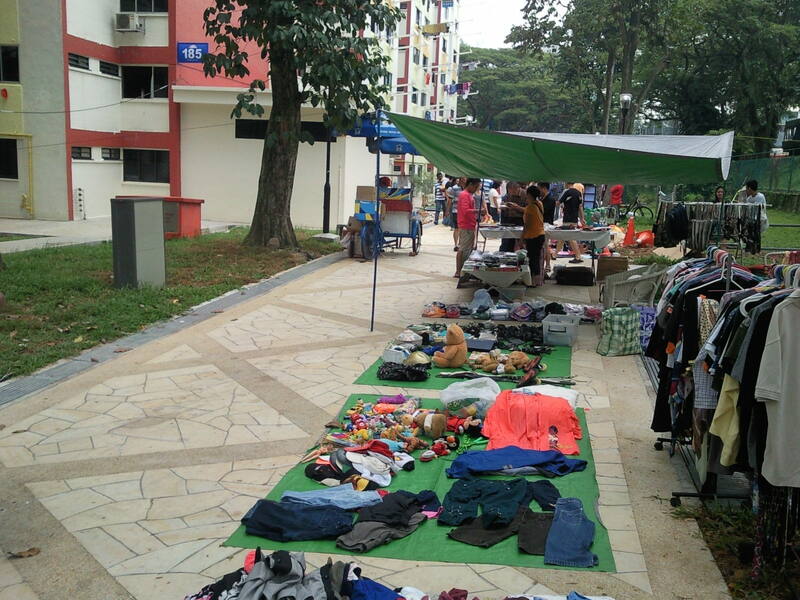 Flea market is totally open style without any protection from rain or sun, hence it will stop operations during bad weather conditions. 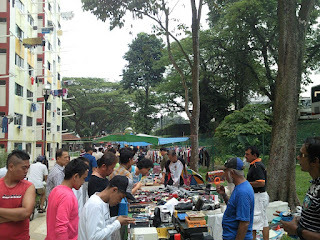 Rental is cheaper here, the last time I understand is $5 per day, can pay to the organizer who will come personally to collect from tenant on that day. 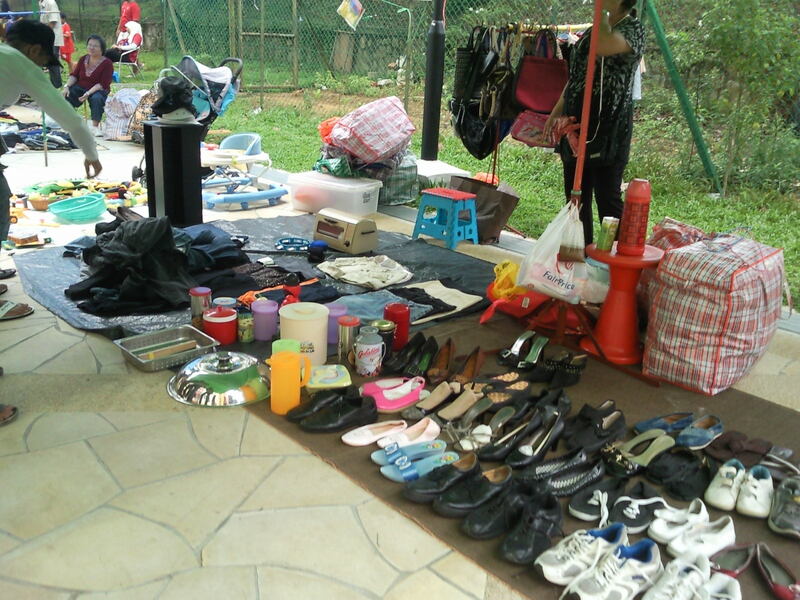 Details you can find out from tenants there as well. What does the Flea Market sell there? 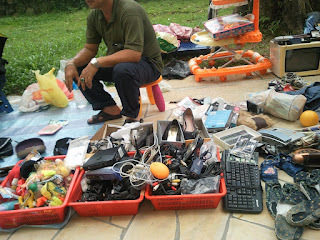 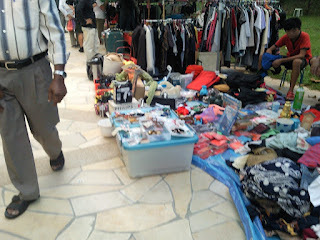 You can expect to find a lot of 2nd hand stuffs like used clothings, old phone chargers, men pants, bags, toys, etc. There are also new items like replica watches, electronics, stamps, coins, currency notes. There is also a ice-cream bicycle vendor there. Occasionally you can find a stall selling kites there. 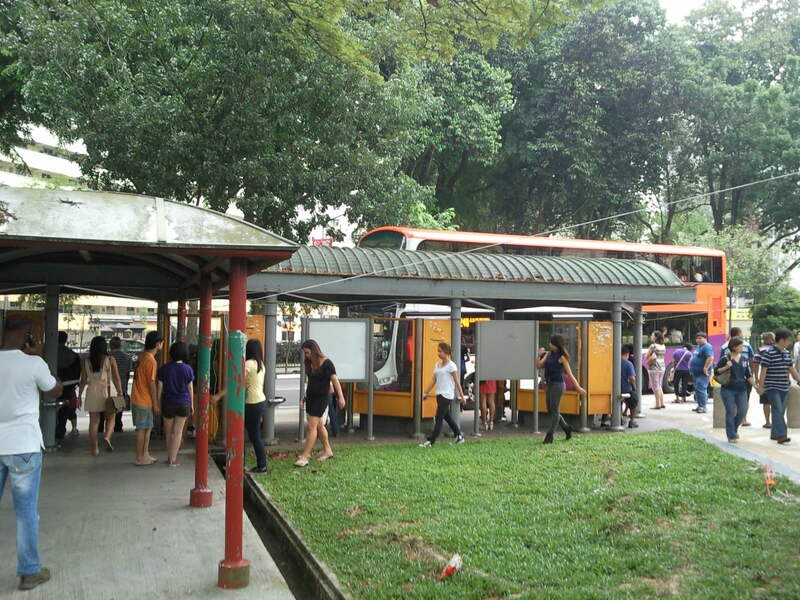 Bus to Blk 185 Flea Market: 99, 240,174, 198.
daily basis. 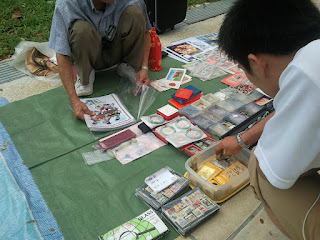 It's always useful to read content from other authors and use something from their web sites. I will keep these lovely earrings for myself.